body, repair and service needs. Welcome to Porcelli Auto Body & Sales where our customers are treated like family! At Porcelli Auto Body & Sales we always take the time to repair your vehicle right the first time so you don't have to worry about making time to do it over. We are a family owned and operated business that has built our reputation on delivering the highest quality repair to your vehicle. Our Techs are also I-CAR and ASE CERTIFIED. 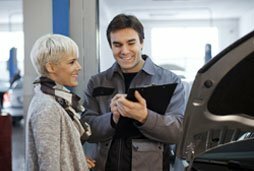 Why choose Porcelli Auto Body & Sales as your choice repair shop? RELIABILITY- We know your vehicle is a necessity and your time is precious which is why your car is always a priority at Porcelli Auto Body & Sales. You can count on us to repair your vehicle as soon as possible. TRUST- Dealing with an accident can be frustrating and the last thing you need to worry about is: "Can I trust these guys?" Our customers have trusted us for over 40 years. EXPERIENCE- Porcelli Auto Body & Sales is family owned and operated for over 40 years in the auto body repair industry. Our goal is to make the process as seamless as possible for you so you don't have to worry. Just give us a call at (401) 821-0202 or stop by and we can answer all of your questions, we are here to help you. Located in the West Warwick area, we service the following communities: West Warwick, Warwick, Coventry, Cranston, Johnston, East Greenwich, West Greenwich, North Providence, North Kingstown, and surrounding areas.